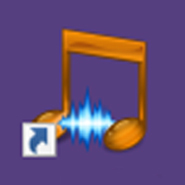 There are several pieces of software that allow you to slow down songs and pieces of music without changing the pitch. Many of these also allow you to loop sections of the track. This is incredibly powerful both for practicing pieces and also for transcribing (working out the notes and chords in songs by ear). Figuring out songs by ear is an invaluable way of improving your musicality. It seems to come easily to some people and not to others. I’ve never found it easy, but I’ve been able to improve over the years, with the aid of slowing down software. The one I use is called Transcribe. It’s relatively inexpensive and one of the best investments I have ever made in my musical life. I know there is a flashy looking competitor called Riff Station. It looks like it does many of the same things. I haven’t used it myself so I can’t say whether it’s better or worse than Transcribe. It’s also possible to slow and loop tracks using Digital Audio Workstations like Cubase, Logic, Pro-Tools and others. However, I like the convenience of a tool specifically designed for the task, rather than ones which do it as two of hundreds of other features. I highly recommend any musician look in to it some kind of ‘Slow Downer’ tool. It will make it easier to learn pieces and improve your musical ear. Let me know if there are any apps or programs you use regularly to help you learn music. I wanted to use Transcribe but it has a separate license for Windows and Mac versions, which I think is selfish and greedy developer. Because I’m getting a MacBook soon and I don’t want to pay twice for the same software, that doesn’t seem fair. So maybe I have to get the other one you mentioned, looks good anyway. I can understand that. Maybe wait until you have the Macbook and then get that version, or try out Riffstation as you suggested. They do do a slight discount for buying two licenses if you go to this page: http://www.seventhstring.com/xscribe/buy_xplat.html – but it’s still $31 per licence. Whichever one you get, it is a great tool for leaning music, so I highly recommend it.